Distinguished artist-academic, Dr Jolly Koh speaks about the importance of education when it comes to understanding art. 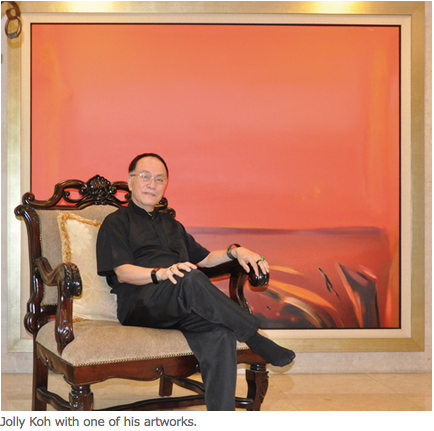 Born in 1941 in Singapore, Dr Jolly Koh is possibly one of the most illustrious artists in Malaysia. He is widely considered as one of the prime movers of the local art scene where he brings with him a vast range of experience he gained through living in the United Kingdom, the United States, Australia and many other countries. He is also not afraid to speak his mind as we found out during the interview. Mind you, a conversation with the artist-academic Jolly Koh is not what you will call a regular tete-a-tete, as he can be brutally honest with whatever the topic raised or discussed. “I know the negative reputation that some people have of me but I’m really a nice guy, very generous and extremely tolerant. I have a bad reputation only because I’m outspoken, forthright and because I express my point of views openly, which doesn’t go well with everybody. But that’s only my manner, and never mistake the manner for the substance,” said Koh. Koh was born in Singapore but moved to then Malaya when he was an infant during the Japanese invasion of the country. Koh along with his family moved to Malacca due to this. What people might not know is that Koh’s family weren’t migrants from Singapore. The history of his family’s migration goes back to perhaps 300 years ago, when his first ancestor made his way to the country. “My first ancestor to come to Malaya was Koh Chin. He arrived in Malacca 300 years ago and his great grandson Koh Eng Hoon left Malacca to work in Singapore. Eng Hoon Street in Singapore was named after him and Koh Eng Hoon was my great-great grandfather,” explained Jolly. “I’ve always liked to draw ever since I was a kid and at the age of 15, I took part in the Selangor Art Society exhibition. At 16, I held my first solo exhibitions; one was in KL and the other in Singapore. I left for art school in London when I was 18. And in 1963, I taught and painted at the same time. I taught for a living because in the 70’s and 80’s it wasn’t possible for me to make a living through painting, so I taught and painted all those years. 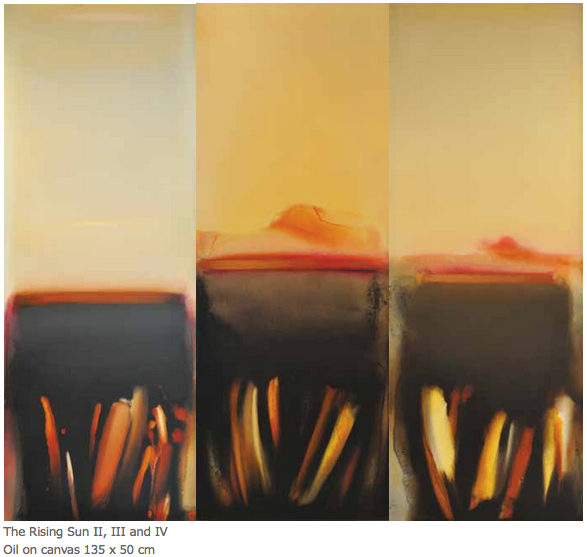 It was only in the late 90’s when I became a full time artist,” recalled Koh. Koh’s family and teachers actually had high expectations of him attending either law school or studying medicine, but he of course wanted to become an artist so he left for London to pursue his studies in that field. Dedicated to his dream, Koh embarked on his journey to Hornsey College of Art in London where his grandfather supported his studies. His student life in London allowed him to experience first hand his initiation into the world of literature, theatre and music Although he said that most of the 20th century art schools around the world are atrocious, his stint at Hornsey played a major part in his development as an artist and art educator. He was introduced to the Basic Design programme initiated by such figures as Victor Pasmore and Maurice de Sauzmarez. “It’s imperative for budding artists to enhance their skills by seeking knowledge abroad. We live in a society where not everyone or very few of us are knowledgeable about art, so we must go to developed countries to expand our artistic knowledge,” said Koh. “Nowadays, winners of the Turner Prize do all works other than paintings. You’ve got installations and video art and that is what’s going on in art school these days. If you go to an art school now, you won’t be taught painting and you may not even do a painting. The irony is that today’s top artists are all painters and I’ll give you two of my favourite examples, one is Peter Doig and the other is Marlene Dumas,” he added. “I frequently travel to Europe every year to visit its major museums, and to attend operas and concerts. I can’t really list down all my favourites but I can give you some highlights, which include the newly renovated Rijksmuseum, and my favourite painting there is the Night Watch. The Reina Sofia Museum in Madrid is also another great place to go where the Guernica is. An experience not to be missed is seeing the 30 feet or 40 feet of water lily paintings by Monet at the Musee de l’Orangerie. They are all jaw-dropping experiences,” said Koh. Being a Malaysian artist and educator isn’t an easy feat either. When Koh returned from the US in 1975, he found it hard to secure a job in Malaysia. The only job that was offered to him was in Australia, hence the reason why he moved there the following year and he was the only artist in that country with a doctorate. He taught at a high school in Melbourne and worked with celebrated Australian artist John Olsen for a certain period and subsequently secured a senior lecturer post in Adelaide where he worked for 10 years. He spent nearly three decades living and working in Australia but returned home to become a full-time artist. “I’m a Malaysia artist, and my business is here. My counterparts in England, Europe and even Australia are far better than me economically and this is because Malaysian art is cheap as we are still a developing nation when it comes to art. In Europe, the price of their national artists’ works are 10 or even 1,000 times more than a Rolls Royce. Here in Malaysia, it’s the other way round. Here the average price for a Malaysian artist’s work is cheaper than a Berkin handbag,” said Koh. 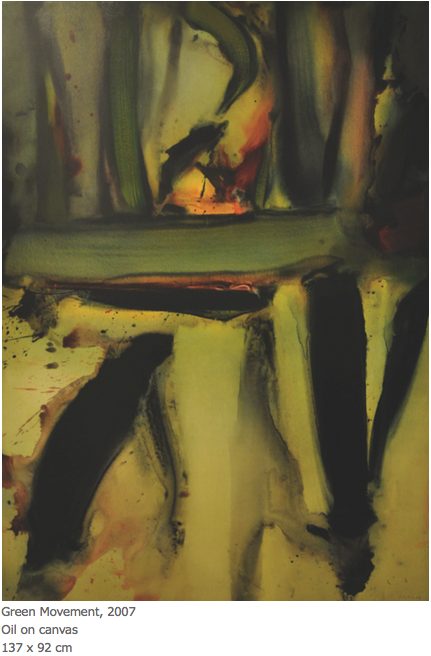 Jolly Koh’s paintings in his current solo exhibition have a strong and resolute quality that reflects his personality. His works also presents a lyrical and romantic quality, which surely showcases his private persona. His latest Nebula series represents his celestial shout to the human world. Hopefully there will be many more shouts from Jolly Koh. His current solo exhibition, Towards the Nebula solo runs from Aug 23 to Sept 30 at The Edge Galerie, Mont Kiara Meridin.